Weekends just aren't weekends anymore. I feel like I party Friday night and wake up Sunday morning wishing it was Friday.. pretty tragic, no? Luckily, there are certain comforts that help the grueling weeks go by as smooth as a very cold and very strong drink helps the dinner with the inlaws go by in a sweet jiffy! 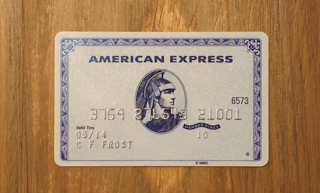 Enough with the analogies, here goes a great commercial by American Express for their Zync card. Pretty good, no? I am a big fan of commercials that integrate great music into the spot, this one does the trick with Passion Pit. And I believe Amex did an amazing job of targeting their 20-30 card user, tell me what you guys think! Great post APL. I don't know if you noticed but being someone who catches every bit of detail, I saw something in this spot that really caught my eye. At around the 25th second, the scene with the piece of luggage, the person is packing for a trip. Now this isn't just any ordinary trip, this is a trip to my homeland of FINLAND!! Hahah. I love it. Though...what I find confusing, and I'm not sure if Amex really though this through, but the person in the video is "supposedly" packing for a trip and lets assume it's Finland, but she is packing bathing suits, flip flops, sunglasses, and then to throw things completely out of perspective a beanie. Now...I don't know if these people actually visited Finland but it's not like there are beaches there...I mean they almost have the greatest number of lakes in the world but it's no Hawaii haha. Anyways, I thought that was funny.